In rotation: Bratislava’s new airport terminal, the view across the Danube to the castle, and the vista of this pretty and largely under-rated city from the castle itself. By any standards this is a major city. Among many major events Bratislava recently hosted the European Championships of the International Federation of Body Building and Fitness, an event attracting 5,000. 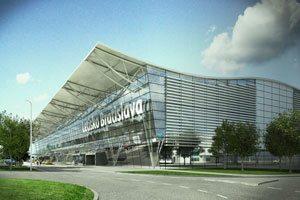 Bratislava Airport (BTS) is the capital city airport of Slovakia; a city and country offering one of Central Europe’s most favourable positions. 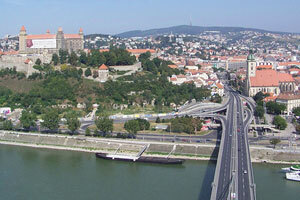 Bratislava is one of the youngest capitals in Europe. 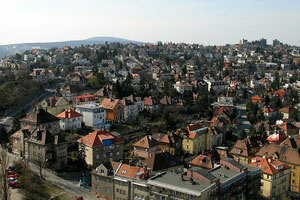 It is a modern city with attractive offers for business, study and leisure. The charming city centre is cosy enough to be explored within a weekend break, but at the same time lively and changing enough to be worth returning several times a year. Since Slovakia joined EU in 2004 and Schengen Treaty in 2008, the city is a great starting point for boarder-free trips to attractive places within the catchment area: Perhaps the one-hour boat ride along the Danube to neighbouring Vienna , the one-hour bus ride to the old city of Brno (the historic regional capital of Moravia in the next-door Czech Republic; or a one-hour drive to a flea-market in Gyor (Hungary). Barrier-free tourism is further promoted by introduction of common European currency Euro on January 1st 2009. A revised new route incentive scheme will operate in 2009 reflecting the current economic conditions. In rotation: Bratislava’s own pyramid. Bratislava Airport supports new airlines and introduction of new connections with an attractive incentive programmes including volume discounts, new destination discounts and marketing support. A revised incentive scheme, reflecting the current downturn, will also operate in 2009. 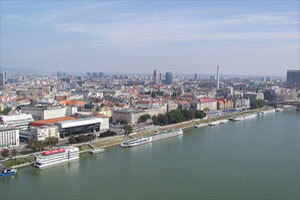 An extensive and cross-border catchment – Schengen membership provides boarder-free trips to Vienna less than 60km away as well as Brno in the Czech Republic, or Győr in Hungary. Many familiar household names manufacture in Slovakia. 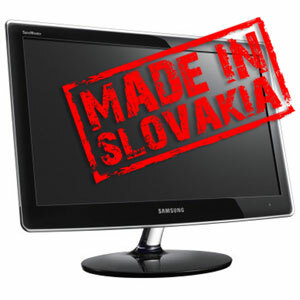 Many household names invest and produce goods in Slovakia including Whirlpool washing machines, Sony and Samsung. 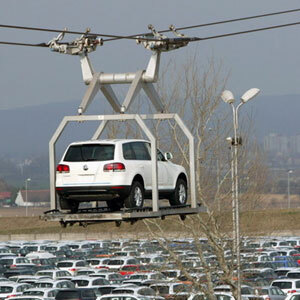 VW currently builds its Touareg, Skoda Octavia and its Audi Q7 in Bratislava where it employs about 7,800 people. It has also announced plans to invest €310m in building a new model compact, currently known by its project name of”up”. Porsche also builds its Cayenne model in Bratislava. Airport’s catchment area covers economically flourishing regions with ever increasing purchasing power and thriving economic and industrial activities. Mostly the flat-rate tax, government-imposed tax vacations in combination with the large Slovakian pool of highly skilled, educated and relatively low-cost workforce had brought in substantial FDIs. That has resulted in vehement presence in automotive industry, its state-of-art R&D facilities and very thorough network of subcontractors and JIT suppliers. 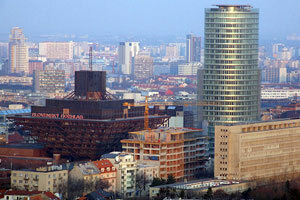 All of the mentioned have catapulted Slovakia into the position of world’s single largest car per capita manufacturer. Among Slovakia’s strengths are know-how and long history of industrial production, long-term supply chain creation and well functioning cooperation of the private and public sectors. Out of well-established presences of manufacturers like KIA Motors, Mercedes-Benz bus division, Volkswagen and PSA Peugeot-Citroen, the production facilities of latter two are located in Bratislava Airport’s catchment area (VW in Bratislava and PSA in Trnava). It may be noted that VW currently assembles its Touareg along with concern-affiliated models of Skoda Octavia and Audi Q7 in Bratislava, where it employs about 7,800 people. It has also announced plans to invest €310m in building a new mid-class compact model, currently known by its project name of “up”. Porsche Cayenne is also being produced in Bratislava production facilities with only the final assembly performed in Germany. Automotive industry in Slovakia is high-tech utilizing the most progressive technologies of what today’s car manufacturing can offer, which holds true both for part manufacturing (supply chain) and final product assembly. From applied technologies, one can mention processing technologies, shaping, wielding, aluminum and magnesium casting, rapid prototyping, rapid tooling, rapid manufacturing, testing, etc. Techno-parks and industrial parks are mushrooming in Slovakia, greatly utilizing the clustering effects and synergy benefits. Favorable politically-supported climate, tax breaks, cheap yet qualified workforce and favorable location have been dragging FDIs, resulting in boosting presence of industrial parks. Besides already mentioned automotive presence, other high-tech clusters include wireless transfer and information processing technologies, automated systems of production management, intelligent production systems or, for example, mobile robotic systems. 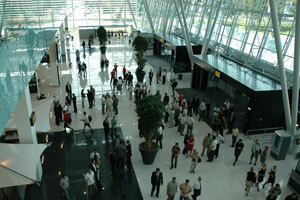 Modern, light and spacious: In June 2010, the first half of the brand new terminal opened for traffic. 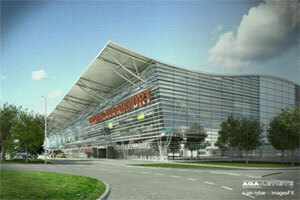 In the second stage, the old Bratislava terminal will be demolished and replaced with the second half of the terminal complex. 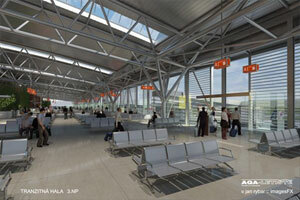 The new check-in area boasts a ceiling height of 20 metres, providing a welcoming air to passengers. 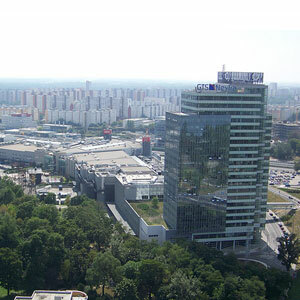 Bratislava Airport is situated 9km from the city centre to which it is comfortably connected by public transport. Buses leave every 15 minutes, terminating at the main railway station offering good transfer options to all cities and towns in the catchment area. 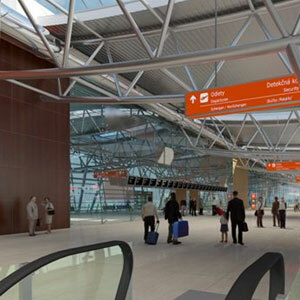 Bratislava Airport is also right next to the main highway network providing convenient connections in all directions to Slovakia, Austria, Czech Republic and Hungary. 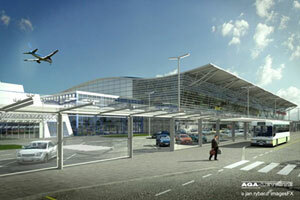 The first phase of the terminal redevelopment came into operation in June 2010. When complete in 2012, capacity will be expanded to 5 million. Reconstruction of the terminal building began in December 2008. The first phase comes into operation in May 2010. 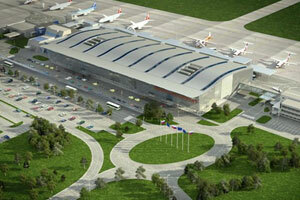 When complete in 2012 capacity will be expanded to 5 million.